Thanks for so many opportunities to win! Your paper blog is so innovative and creative. Thanks for the chance to win a Silhouette. I would love to have one. When I watch your videos, it looks like it cut beautifuly. Fantastic, would love a chance to use this machine. I am a happy follower of your YouTube channel as well as a fan of your great info here. Winning this would be a dream come true for me. I always enjoy your blog and YouTube videos so the chance to win is just a bonus! Thanks for the opportunity to win. It is the only way that I can get a Silhouette! I have watched many of your videos and I miss you on the Circle. As always, thanks for a chance to win and display my creativity with the ease of the Silhouette Portrait:)! Wow Linda, Love this giveway. I will keep my figers crossed but not holding my breath. LOL THANKS for the chance. I am a blog subscriber! Thanks for another great giveaway! Thanks for a chance to win silhouette. I have enjoyed the many different ideas on your blog site. Hi Linda. Thank you once again for a chance to win a Silhouette machine. I have been a follower of yours for a long time & admire your creations. Hey there already a follower of your blog. Thanks for the chance to win. would love to own a portrait. Hope you enjoy your days off. Your blog is my favorite and the one I always look at first. Subscriber via email! thanks so much for the chance! already a you tube follower! I'm a follower, and just started following you on YouTube. Thank you for the chance to win this amazing prize! Have a safe Holiday weekend! I subscribe via Google Friend Connect :) Thanks for the chance to win a Silhouette! It would be so fun to win!!! I am a follower and YouTube subscriber. I love this blog and my youtube blog. I love my Cameo and the fantastic ideas I get from following your blog. Wouldn't it be wonderful if I could win a Silhouette for my dear friend who lost so much in the devastating Moore, OK tornado!?! Thanks so much Linda, love your blog and thanks for the chance to win! The Silhouette would be a very fun and exciting crafting tool. Who wouldn't love to win something of such value and versatility! Thanks for the chance. Thank you for a chance to win a Silhouette! I have wanted one for so long. Loved the pictures your husband took, just beautiful. I just had a V-8 moment. "I coulda already been a subscriber to your YouTube channel." Well, I am now. Thanks for the nudge. Thank you for a great giveaway. You have some wonderful ideas and I will be following you! I really use a silhouette right about now. Thank you for the opportunity to win one! Thanks for another chance to win!!! I would love to win this and give it to my sister :) Thanks again!!! I am also a youtube follower :) thanks!! Thanks for the opportunity to win the Portrait. I love to read your blog. Wow, I REALLY want to win! I'm already a subscriber to both your blog and youtube channel. Enjoy them both. Thanks for another chance to win a Silhouette! I follow and thanks for the chance to win! I have you delivered to my mail box everyday lol. Thanks for a chance to win. I subscribed to your YOUTUBE! Thanks for another chance at winning a portrait! Thank you for the opportunity to win the Silhouette!! I have been wanting one since you first started posting about them! Thank you for the chance to win. I have been wanting one of these for so long now. Hi!!!! Thanks for the opportunity. I subscribe in both, via email and on YouTube. Thanks, thanks and thanks. I want to try the Silhouette. The silhouette looks like a gem for cutting out intricate patterns. I do have a Cricut and would love to expand to the silhouette, as I was watching your videos. Such talent. Thanks for the chance to win. I am following your blog and I am a fb fan. I have one of the first Silouhettes; cannot imagine having a new one. Thanks for the opportunity to win it. Id love to win a cameo... not very happy with my cricuts lately... been thinking of this.. thanks for the opp. just became a youtube follower... I will not be getting much sleep tonight, happy to watch them all.. thank you. Your projects are amazing as always! I love the pretty papers you used too! I am still using my Cricut and want to switch over to the Silhouette but haven't done it yet! Very tempted though! I love all of your ideas. I subscribe to your blog and you tube channel. I would love a chance to win the Portrait! Thanks so much for another awesome giveaway! Linda, thanks again for this opportunity. Love your blog! Thank you Linda and Silhouette for the chance to win this fabulous machine and software. I love your blog and UT channel. Thanks for sharing your talents. Thank you for the great giveaway!!! Your projects are beautiful!! I subscribe to your YouTube channel...and love it. Thanks for the opportunity to win! I follow your blog! I love your projects, Linda. I'm also a loyal follower of your YouTube channel. Thank you for the giveaway! I follow you on GFC! Thanks!!! I'm subscribed to your YouTube channel as heidir695! Thanks for the chance to win a Portrait. This looks like a great machine that can pick up and go with. I would love to have one to travel with me. I've already a subscriber to your blog and You Tube channel. 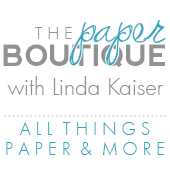 Limitless possibilities between paper, fabric and more. I would love to win. Oh the hours I would spend on this machine. Thank you for another chance to win a Silhouette Portrait. I'm a follower of your blog and also follow you on YouTube. I love all of your posts and videos. Your videos on the silhouette were great.Thank you and Silhouette for the chance to win the portrait. Wow! You always have awesome giveaways, Linda! I am a subscriber to your blog via email. I always get so many great ideas from you, and I love that you cover not only projects ideas, but also ideas for storage, etc. Thanks so much for the chance to win the Portrait! I'm also a YouTube subscriber! WOW...I never knew how much a cameo could do!! Would love to win one, ty for the chance. have to check out your u tube right away. Love your blog. I been a follower and love all ur awesome ideas. I own a cricut but would live an opportunity to win the silhouette. I especially love the print and cut feature. Thanks for the opportunity! As a follower of your blog, I enjoy your inspiration and enthusiasm! Would love the opportunity to win a Silhouette Portrait. Thanks to you and Silhouette for making it possible! Thanks so much for the chance to win the silhouette! I am already a subscriber on youtube and love your videos! Thank you for the chance to win. I would really live to be the lucky winner! Thanks for the chance to win a Silhouette Portrait! Thanks so much for this chance to win - I own a cuttlebug and winning would be like winning a cadillac! I do follow your blog and YouTube - you are an inspiration! Love following your posts. Love even more the chance to win. This is one area I have not allowed myself to indulge in and would love to win one here. Linda, you are so creative! Thanks for the chance to win a Silhouette Portrait, that is amazing! j'ai profité du bon pour SSt designer . Merci,c'est super. Thanks for the opportunity to win one of these great machines. Thank you for the chance to win. I'm a subscriber . newbie follower of both the blog and over at YouTube :) Would love to be able to make my own Silhouette stencils! Thanks for the chance! How very generous...thanks for the chance!! Would love to win ! Thanks to silhouette for the opportunity! I just signed up to follow your YouTube channel (user: ScrappingMommy). Thanks again!! I am a follower on your blog and love what the Silhouette can do. Thanks for the sharing and the chance to win!! Love your blog! Thanks for the giveaway! I'd love to win one for my sister and so she can have the opportunity to learn the Silhouette products for herself. 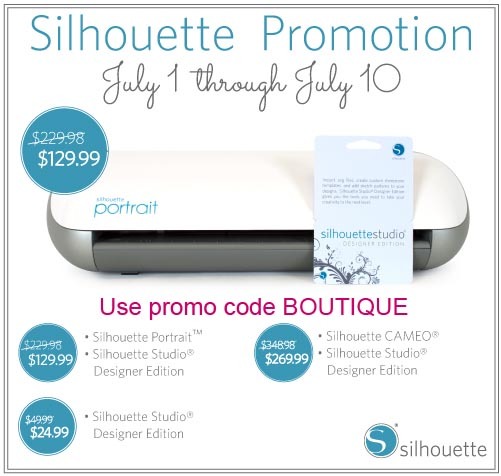 thanks to you & Silhouette for another chance to win!! Love the blog & the great ideas! I've been following your blog in my RSS reader for a while now and I just signed up to follow via Google. You share a lot of valuable information and these giveaways are wonderful, too! 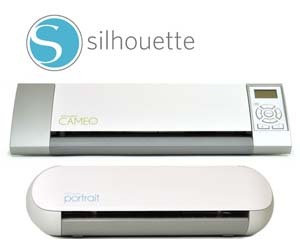 I've been looking to replace my Cricut Personal for a while now, and have been looking into the Silhouette Cameo products. Thanks to Silhouette for this fantastic prize, and good luck to everyone here! I have also been following you on YouTube for a while as well. Please keep those videos coming!!! Just found your blog and subscribed right away - now I am going to sub to your You Tube channel - I had NO idea the Silhouette could do SO much! My sister and I enjoy playing with our cricuts, and it would be awesome to win a new toy. I get your e-mails and have enjoyed them very much. Hey Linda your projects was interesting i watched it in you tube channel and found many useful things which i can take as a tip for my use..Thanks for sharing it.. I found your blog through my friend Angi B. how fun you are giving away a Portrait.. Thanks for the opportunity.. Can't wait to check out your videos..